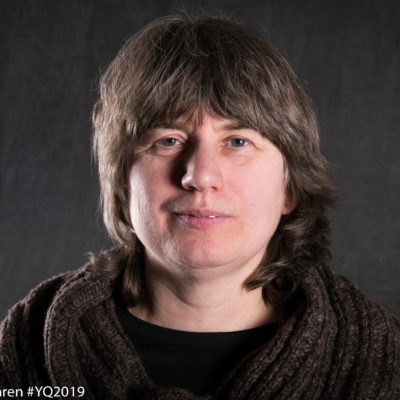 Yukon Quest 2019 has seen its first sled dog death. Misha Wiljes arrived into Central checkpoint Monday night carrying a deceased dog. Results from a preliminary necropsy cite aspiration as the dog’s cause of death. Brent Sass is now a two-time Quest champion. He arrived first into the finish chute at 12:40pm Monday. In Sass’ line were all 14 dogs with which he started the race. 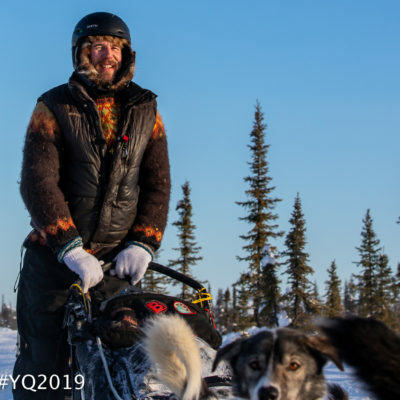 Brent Sass has won the 2019 Yukon Quest, according to a live video posted on the official Yukon Quest Facebook page. More details will follow this afternoon on KNOM (780 AM / 96.1 FM) and here on knom.org. 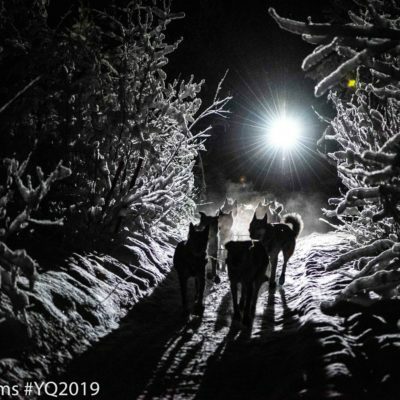 As of 9am Monday, Brent Sass is holding a strong lead in Yukon Quest 2019; his team is less than 30 miles outside Fairbanks. The championship finish could be as early as noon Monday. According to the GPS tracker, as of 12noon, Moore is now 55 miles away from Slaven’s Roadhouse, moving at roughly 9 miles per hour. 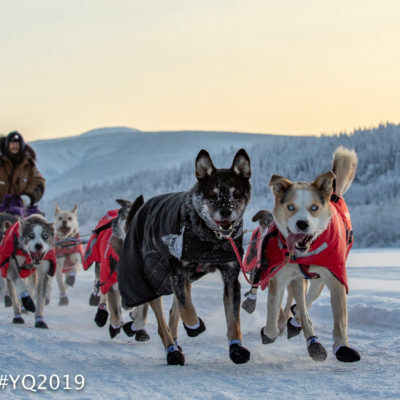 As he maintains his lead with 13 dogs, he is followed closely by Brent Sass, Hans Gatt, and Michelle Phillips, who are in second through fourth positions, respectively. 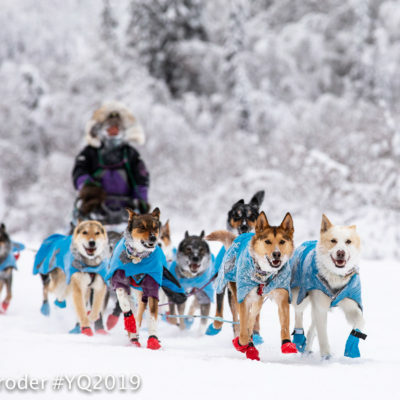 Jimmy Lebling and Olivia Webster are the first scratches of Yukon Quest 2019. Allen Moore holds first position as mushers enter the Alaska half of the trail. 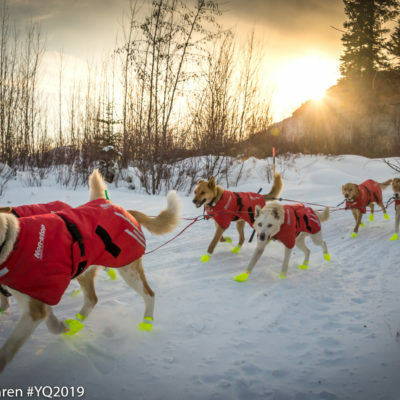 True to form, Yukon Quest mushers have tended to depart Dawson City at or near the exact minute when their 36-hour, mandatory layovers have expired. 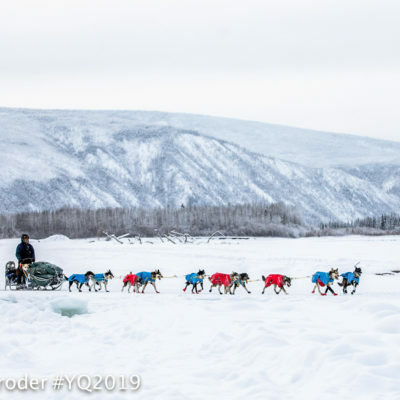 The race leaders of Yukon Quest 2019 left Dawson City overnight and are back on the trail, heading for the U.S. border and the checkpoint of Eagle, Alaska. Favorable trail conditions persist, with no scratches and few dropped dogs so far reported. 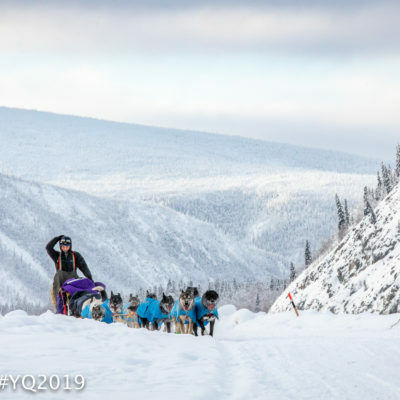 The race leaders of Yukon Quest 2019, starting with Brent Sass and Michelle Phillips, will be eligible to depart Dawson City late tonight and overnight into Thursday. 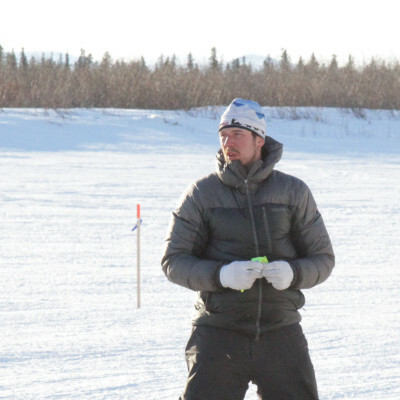 Fellow musher Allen Moore predicts tight competition in the second half of the race. Phillips’ team has “pep,” Moore says. 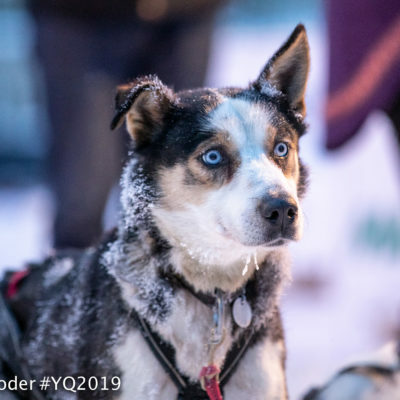 23 of the 30 mushers in Yukon Quest 2019 have safely made it into Dawson City and are now resting a mandatory 36 hours before the race starts back up again. The top five will be eligible to leave late tonight, having mostly arrived in Dawson City just over 24 hours ago.